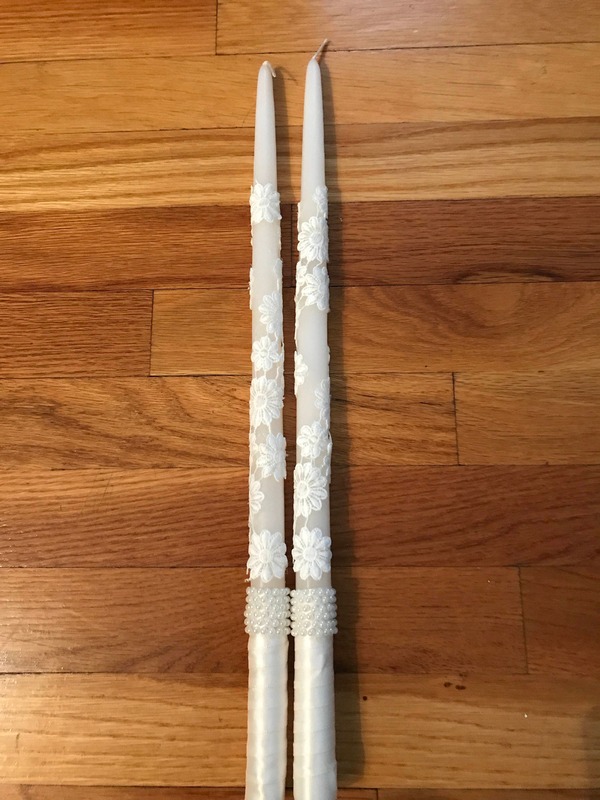 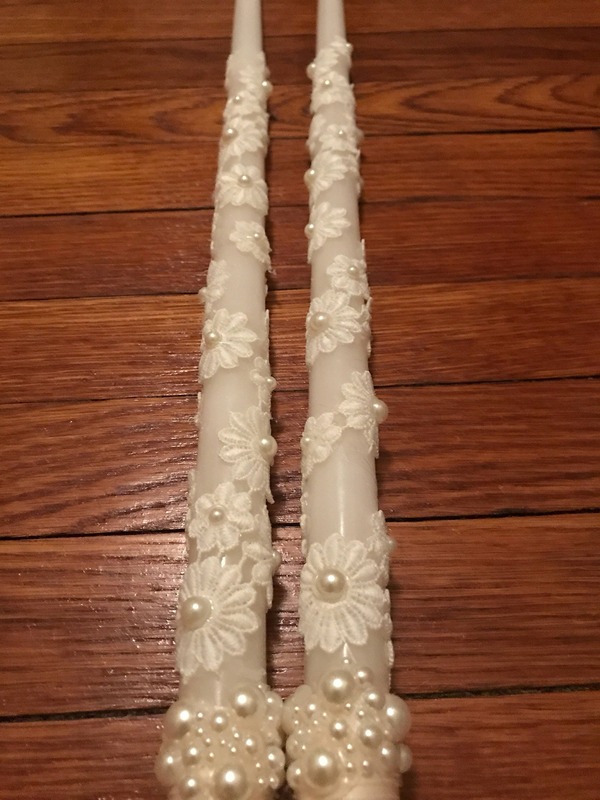 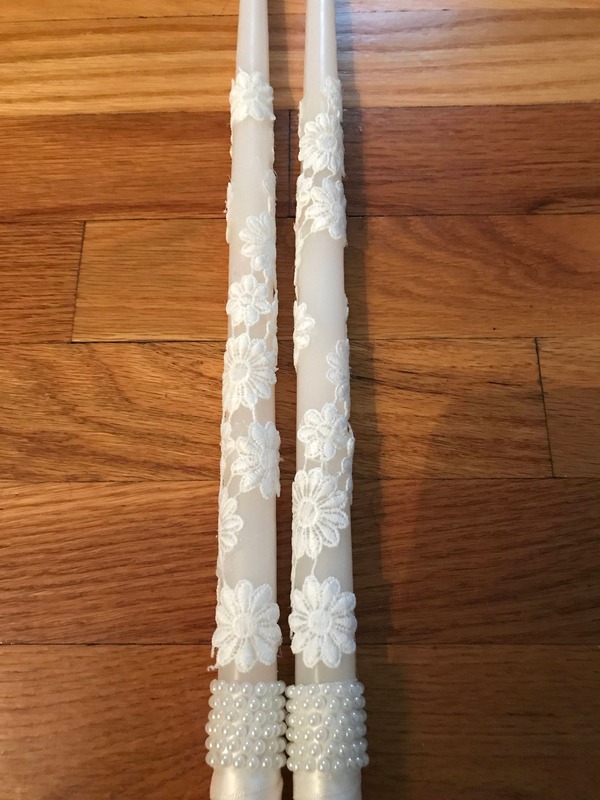 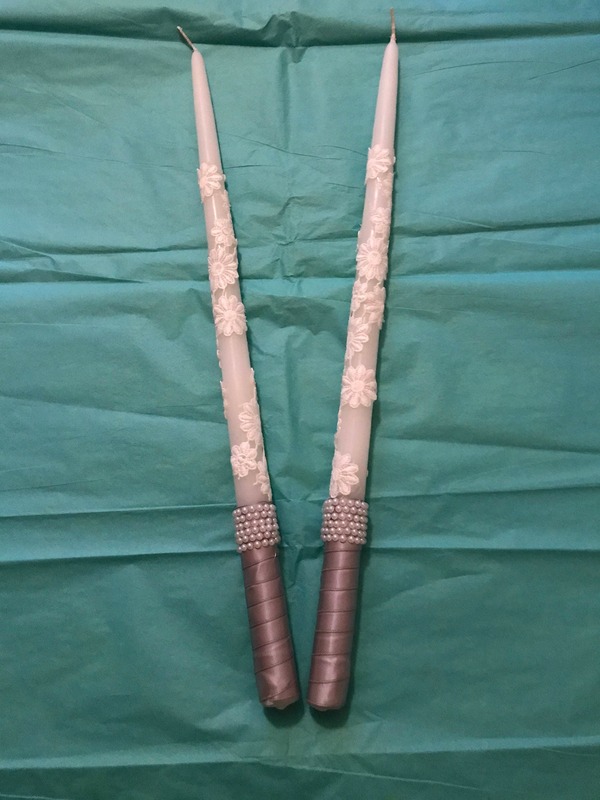 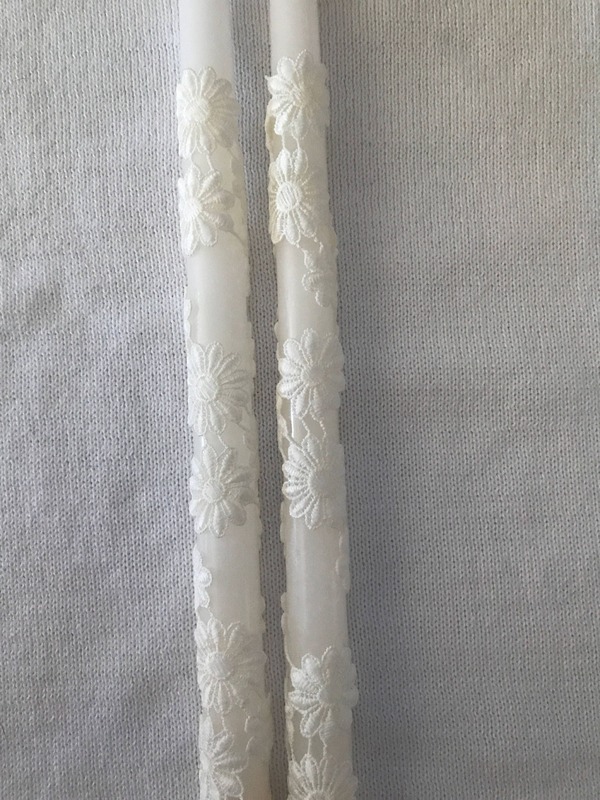 Two white taper candles delicately wrapped with ivory ribbon and floral lace. 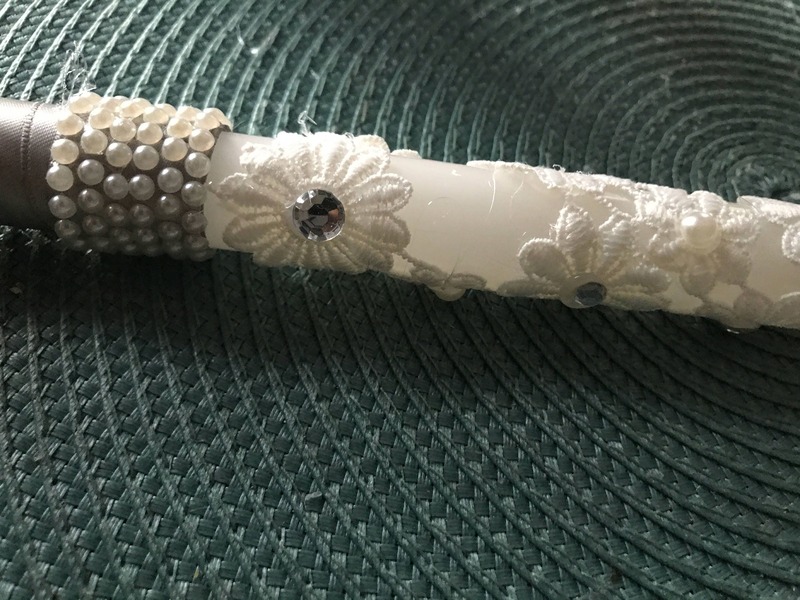 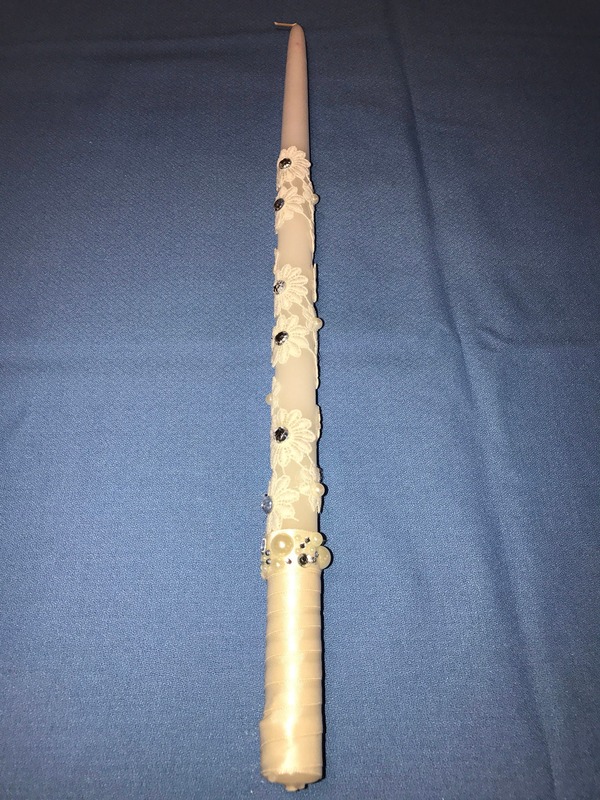 The handle is delicately embellished with pearls. 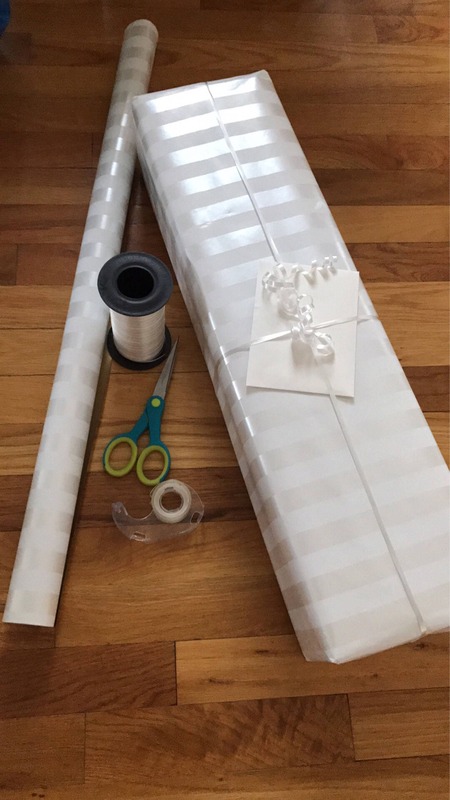 *if you would like to use a different color of ribbon other than the standard white, please send me a message. 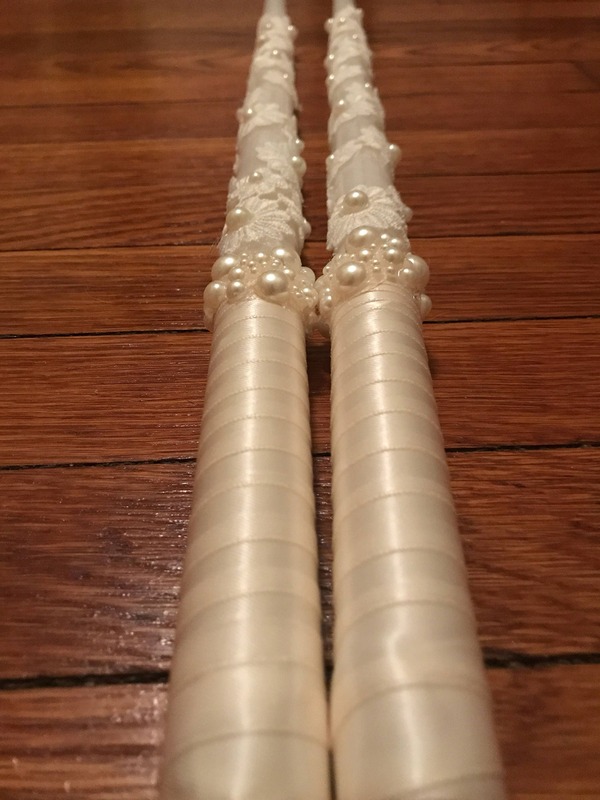 I have most colors in stock at all times.